Gardening is one of Britain’s favourite pastimes, with programmes like Gardener’s World one of the long-running staples of BBC 2. The Beeb also devotes week-long coverage to the annual Chelsea Flower Show. A few years ago, one of the gardening programmes told a bit of the history behind popular gardening in Britain. It was deliberately started by the Victorians, with Queen Victoria and Prince Albert themselves as the patrons, as a way of encouraging the labouring poor to be respectable. Among the other virtues gardening would foster in them was neatness, from what I remember of the programme. This magnificently illustrated people’s history celebrates the extraordinary feats of cultivation by the working class in Britain, even if the land they toiled, planted and loved was not their own. Spanning more than four centuries, from the earliest records of the labouring classes in the country to today, Margaret Willes’ research unearths lush gardens nurtured outside rough workers’ cottages and horticultural miracles performed in blackened yards, and reveals the ingenious sometimes devious, methods employed by determined, obsessive, and eccentric workers to make their drab surroundings bloom. She also explores the stories of the great philanthropic industrialists who provided gardens for their workforces, the fashionable rich stealing the gardening ideas of the poor, alehouse syndicates and fierce rivalries between vegetable growers, flower-fanciers cultivating exotic blooms on their city windowsills, and the rich lore handed down from gardener to gardener through generations. Garden history is taught in some universities in their archaeology departments, and the archaeology of gardens is also part of the wider field of landscape archaeology. Much of what is known about gardens in history comes from those of the rich, the great parks and gardens of royalty and the aristocracy, and the work of the great landscape gardeners like Inigo Jones and Capability Brown. They were also an important part of the lodges constructed by the medieval and early modern mercantile elite just outside town limits, to which they went at weekends to escape the cares of weekday, working life. This book looks like it attempts to complete this picture, by showing that the working class were also keen gardeners. And its particularly interesting that the rich were nicking ideas from them. I have found this description of the Sansculottes, the radical Parisian republicans, in D.G. 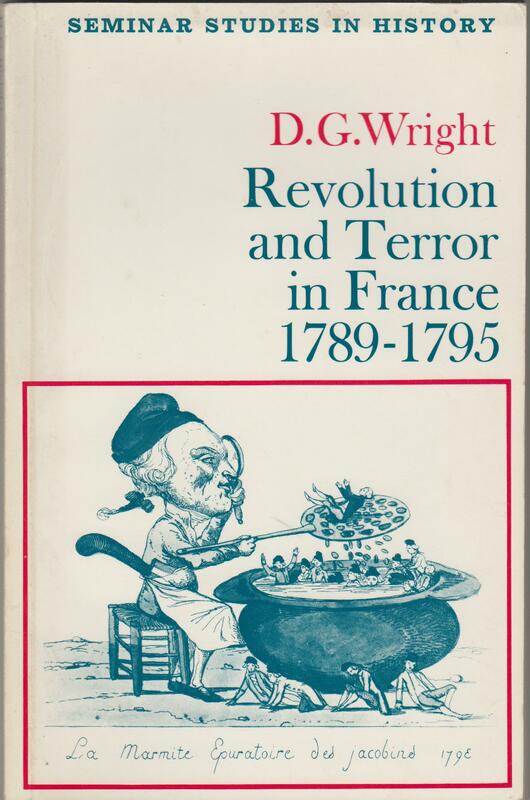 Wright, Revolution and Terror in France 1789-1795 (London: Longman 1974). They weren’t working class, but a mixture of people from across the working and middle classes, including wage-earners and prosperous businessmen. The majority of them were tradesmen, shopkeepers, craftsmen, small masters, compagnons and journeymen. Their membership reflected the structure of Parisian industry, which largely consisted of small workshops employing four and fourteen workers. Despite containing many members of the middle class, the Sansculottes believed strongly in manual work and direct democracy. The ideal sans culotte, depicted in popular prints, wore his hair long, smoked a pipe and dressed simply: cotton trousers (rather than the knee-breeches, culottes, of the aristocracy and bourgeoisie), a short jacket and the bonnet rouge (the Phrygian cap of the freed slave in ancient times). Powdered wigs, scent, knee-breeches, buckled shoes, flowered waistcoats, bows and lorgnettes were dismissed as foppish and frivolous trappings of privilege, with overtones of sexual deviancy. Equally dismissed were the manners and deferent behaviour of the ancient regime: the good sans culotte took his hat off to nobody, used the familiar ‘tu’ rather than ‘vous’ and ‘citoyen’ rather than ‘monsieur’, and swore in the colourful Parisian slang of the Pere Duchesne. He tended to judge people by their appearance: those who wore fancy clothes, spoke in ‘posh’ tones, looked haughty, or failed to offer the fraternal kiss of liberty. Those who seemed to despise the honest working man were in trouble. A music dealer was arrested as a suspect for observing, at a sectional meeting, ‘It was disgusting to see a cobbler acting as president, particularly a cobbler who was badly dressed’. ‘Aristocrat’ and ‘moderate’ became interchangeable terms for those who opposed in any way the outlook and aspirations of the sans culottes or appeared to look down on them or ridicule them; they were also applied to those who seemed indifferent and lacking in the open enthusiasm of the good revolutionary. ‘Aristocrat’ could include those who refused to buy biens nationaux or to cultivate land or sell it at a fair price, or failed to find employment for labourers and journeymen, or refused to subscribe generously to patriotic loans, or to those dealt in gold rather than republican assignats or speculated on the Bourse or in joint stock companies. 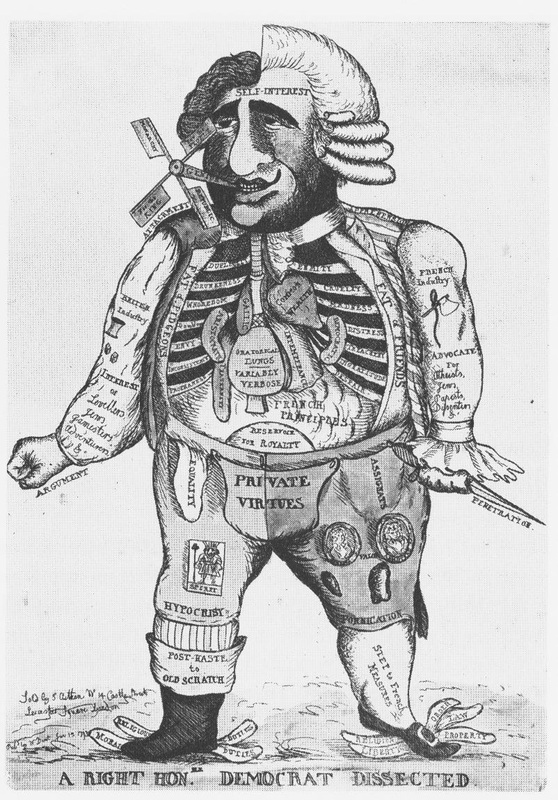 As the revolutionary crisis deepened in 1793, ‘aristocrat’ increasingly came to mean bourgeois property owner; in May an orator in the Section du Mail declared: ‘Aristocrats are the rich wealthy merchants, monopolists, middlemen, bankers, trading clerks, quibbling lawyers and citizens who own anything.’ Wealth always raised sans culotte suspicion, unless offset by outstanding political virtue. Hoarders and monopolists were seen as hand-in-glove with large merchants, bankers and economic liberals in a plot to starve the people and crush the Revolution; for sans culottes were ultra sensitive to the problem of food supply and the price of bread, while they lived in constant fear of plots and betrayal. Hunger, as well as democratic politics and puritanical moral views, was a cement holding the disparate sans culotte groups together. Hence pillage could be justified as ‘egalitarian’ and ‘revolutionary’ in that it fed the people and struck at the machinations of hoarders and speculators, the visible vanguard of counter-revolution. Sans culottes always tended to advocated immediate and violent political solutions to economic problems and, with brutal simplicity, assumed that spilling blood would provide bread. Despite the fact that many sans culottes were small property owners, there existed a deep-rooted egalitarianism. They believed in the ‘right to live’ (‘droit a l’existence’) and in ‘the equality of the benefits of society (l’egalite des jouissances). A family should have enough to live on in modest comfort, especially sufficient bread of good quality flour. No rich man should have the power of life and death over his fellow men by his ability to monopolise food and other basic necessities. thus food prices and distribution should be controlled by law, while the government should take stern action against hoarders and speculators. Some of the more radical sans culotte committees demanded taxation of the rich, limitation of rents, restriction of the activities of large financiers, government-assisted workshops and allowances for widows, orphans and disabled soldiers. (pp. 52-4). ‘He was a fervent believer in direct democracy, a concept which stemmed ultimately from Rousseau and the Social Contract and filtered down into the sections through the revolutionary press, broadsheets and speeches, revolutionary songs and Jacobin Club pamphlets and propaganda. Authority could not be delegated, for the true basis of government was the people, sitting permanently in their evening sectional meetings, where they discussed laws and decrees. Deputies should be delegates rather than representatives and be constantly and immediately answerable to societies populaires. The latter had the right to scrutinise the laws of the Assembly, administer justice and the police, and help to run the war effort. Thus the sans culottes saw themselves and the ‘nation’ as synonymous. (pp. 54-5). We don’t need the murderous bloodthirstiness of the sans culottes, some of whom took their children to public executions as part of their political education, and, as time wore on, became increasingly nationalistic and chauvinistic, to the point where they insisted on Parisian French as they only indicator of political reliability, and were hostile and suspicious of other languages spoken in France, such as the Breton Celtic tongue, and even other French dialects. And I don’t share their radical atheism and hatred of Christianity and Roman Catholicism. However, we do need a revival of other parts of their attitude and values: the radical egalitarianism, which despises and revolted against any attempt to sneer at someone because of their occupation as a worker or manual tradesman. Owen Jones in Chavs points to the way Kenneth Clarke once heckled John Prescott with the cry of ‘Here, barman’, because Prescott had once been a ship’s steward. And this government is indeed that of ‘Aristocrats … wealthy merchants, monopolists, middlemen, bankers, trading clerks, quibbling lawyers’ and the owners of vast property and industry. And monopolists, bankers and economic liberals are pursuing policies that penalise and push into grinding poverty the poorest and weakest sections of the society for their own profit. Instead of a government by them, which benefits the rich alone, we desperately need instead a government of real egalitarians, that is not afraid to pursue policies that include the ‘taxation of the rich, limitation of rents, restriction of the activities of large financiers, government-assisted workshops and allowances for widows, orphans and disabled soldiers’ and more. Regardless of one’s attitude to religion, it’s about time we returned and revived their radical egalitarianism against a radically unequal, illiberal and thoroughly oppressive regime. Liberalism in the nineteenth century was the belief that government should be carried on by means involving consent among the various sections of society or the nation. Liberalism’s intellectual justification was derived from eighteenth-century rationalism, which had attacked all forms of arbitrary power, particularly the power of kings. Liberals believed that the power of traditional institutions, such as the Church and the monarchy, should be restrained by institutions presenting the interests of society more generally and the aristocracy and the more wealthy sections of the middle class in particular. 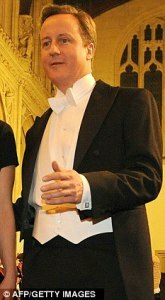 The liberal programme – government by parliament or representative assembly, freedom of the press and individual freedom – was most popular among the emerging classes of manufacturers, merchants and professionals, who saw the privileges of the Church and the most wealthy sections of the aristocracy as obstacles to their own economic and social betterment. Liberals, as distinct from those who preached democracy, believed in the sovereignty of parliament rather than the sovereignty of the people. Middle-class liberals regarded democracy with suspicion, since it was associated in their minds with the excesses of the First French Republic . 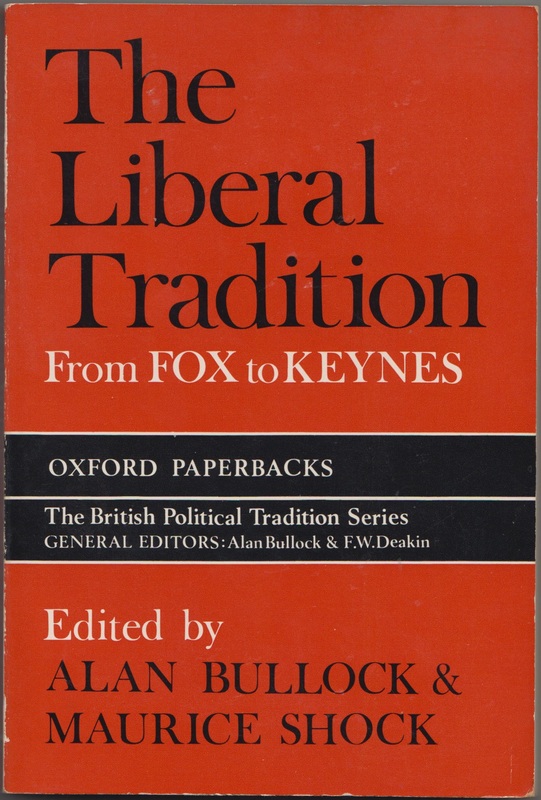 Consequently middle-class liberals in both Britain and France advocated broadening the property franchise: ‘Vox populi, vox dei, which gives to the majority the infallibility of God … is the most dangerous and most despotic absurdity that has ever emerged from the human brain. If you want to ruin a state give it universal suffrage’, so claimed Odilon Barot, leader of the Dynastic Opposition in the 1840s. This concern for the interests of the middle classes and the fear of democracy and the working class explains why von Hayek and Mises, the founders of modern Libertarian, were prepared to serve and give their approval to extreme Right-wing regimes – Dollfuss’ Austrofascist dictatorship in Austria, and General Pinochet in Chile. It also explains why sections of the Italian Liberal party actively co-operated with Mussolini and appointed him as a coalition partner. In this milieu, Pareto’s elitism, which stemmed from his belief in free trade, was merely part of a general distrust of the masses taken to its logical conclusion. And Fascism did gain support from the Italian middle classes for its support of liberismo – sound money, a balanced budget, free trade and private enterprise against the threat of Socialism and organised Labour. The same authoritarian mindset also explains why the Tory Democrats have supported highly authoritarian and illiberal initiatives by the Tories, like secret courts and the Gagging Law. This fundamental authoritarianism is disguised, but nevertheless extremely strong in other areas of Right-wing ideology. The Neo-Conservatives of Bush’s administration considered themselves to be ‘Democratic revolutionaries’. Nevertheless, they believed strongly in limited the power of the state in favour of extreme laissez-faire economic policies. One Neo-Con politician interviewed on Adam Curtis’ series How We Lost Our Dreams Of Freedom, stated that the democracy they wanted to introduced was ordered to exclude state economic intervention. The NeoCons have even written their policies into the Iraqi constitution to make them unalterable. This policy no doubt influenced David Cameron in his statements that he would try to force subsequent governments to follow his policies even if the Tories lost next year’s elections. For all their claims to represent individual freedom, Libertarians, as the self-professed heirs of 19th century Liberalism, share the same distrust of democracy and fear and despise the working class and organised labour. The freedom they espouse are those only for a very restricted class of the wealthy and privileged.